My 18 month old daughter often has constipation issues. (Yeah, that probably isn’t how you expected a recipe post to start out, huh?) 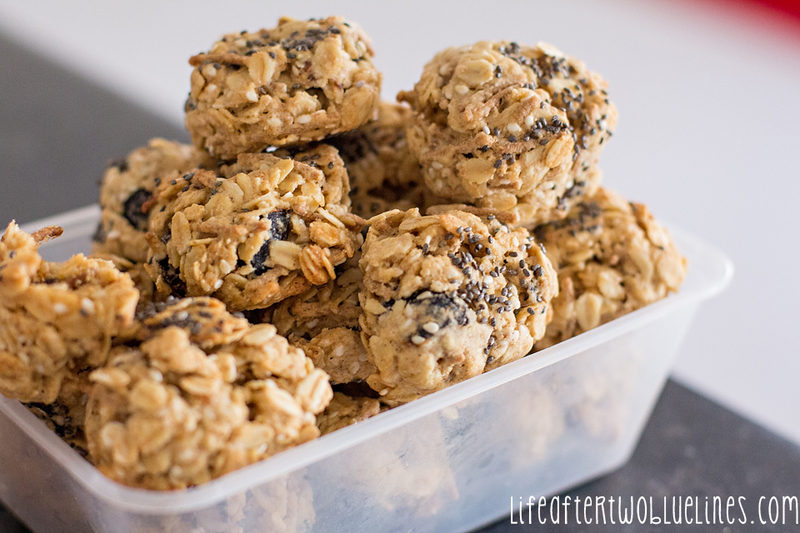 Anyway, so when I stumbled across this biscuit recipe on the Vegie Smugglers blog, I thought it seemed the perfect recipe to adapt to get some poo promoting ingredients into her little tummy. I also always love a recipe that helps me get some folate rich oats into her. 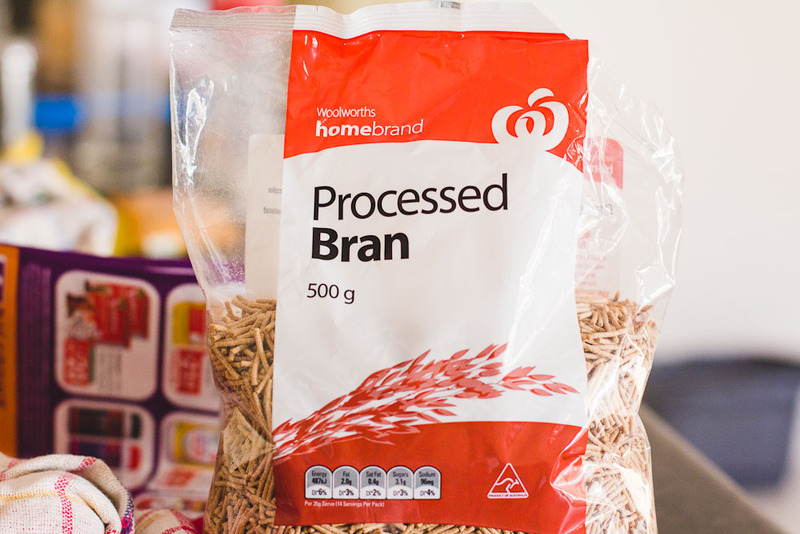 I actually used Homebrand Processed Bran sticks rather than Allbran as per the original recipe, because after reading the labels, it seemed they had a lower sugar content. I substituted prunes in for saltanas, but you could really use any dried fruit you wanted. And I added extra bran powder, but if you don’t need so much poo power, you could definitely leave it out. But hey, it’s always good to be regular, right? 2. Mix together Ingredient Set 1. 3. In a separate bowl, cream together the butter and sugar from Ingredient Set 2, then mix through the egg. 4. Fold everything together, roll into ping pong sized balls, put on lined oven tray and pop in the oven for 12-15 minutes. It is a super easy recipe to whip up start to finish and definitely one of those “blank canvas” recipes – you could adapt this to your heart’s content! I’m imagining versions with grated apple or chocolate chips or cranberries… maybe even zucchini for hidden veggie goodness?? I was going to add chia seeds but forgot right up until the last moment, so I just rolled the dough balls in the seeds instead, which actually worked quite well. I’d love to hear of any versions you may come up with! 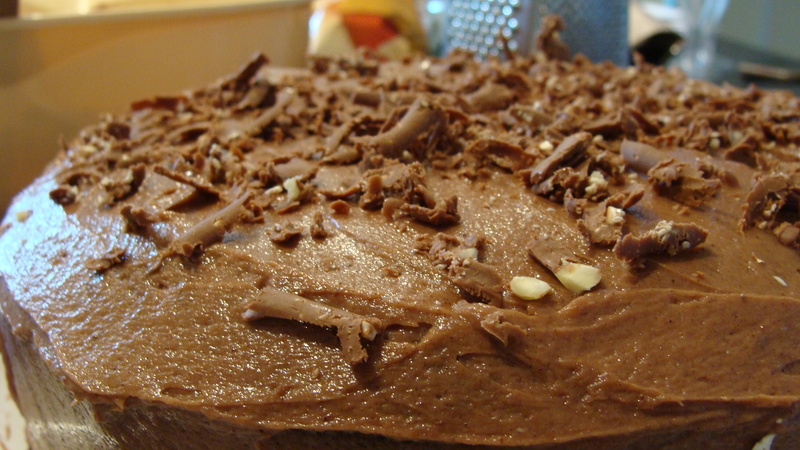 On New Years day, we were just sitting around on a lovely Melbourne day, when Daddy C said: “I feel like cake.” Naturally, I obliged, and came up with this delicious milk chocolate mud cake (based on this recipe). Moist, dense and muddy, and it lasted for days. Yum! 2. Grease a 23 or 24 cm round cake tin, preferably springform. Line with baking paper. 3. Place 250g chocolate, butter, coffee and water in a large saucepan over low heat, stirring occasionally. 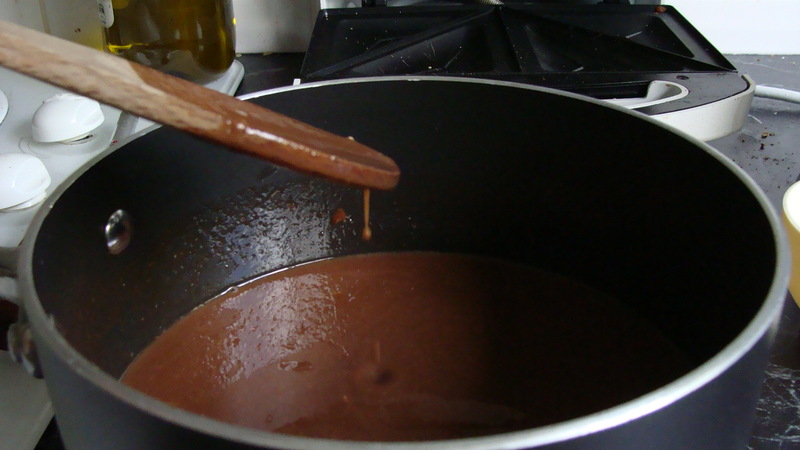 When chocolate and butter have melted, remove mixture from heat and allow to cool to lukewarm/room temperature. 4. Sift the flour, cocoa powder and bicarbonate of soda together into a very large bowl. 5. Add the caster sugar to the bowl with the flour mixture, and stir the ingredients together until well combined. The original recipe recommends using a whisk to stir ingredients together. 6. 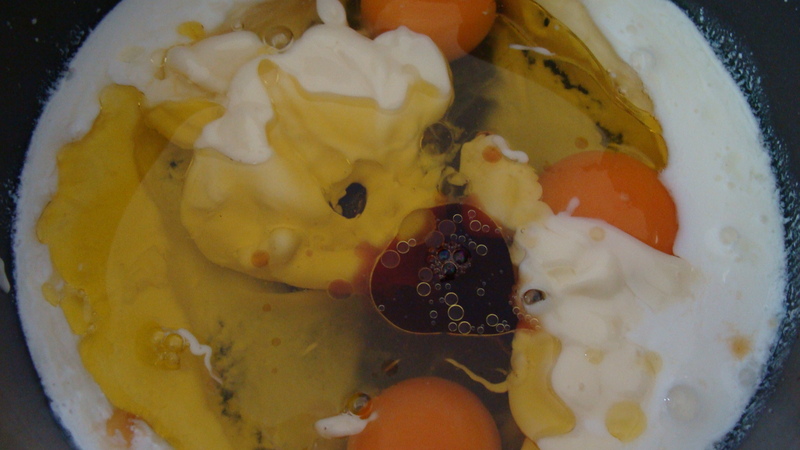 In a medium bowl, place eggs, oil, vanilla and buttermilk. Whisk until well combined. 7. Add the egg mixture to the dry mixture, and stir until well combined. 8. Add the chocolate mixture to the egg and flour mixture in a three batches, stirring until combined after each addition. 9. Pour into prepared pan and bake for about 1 hour and 15 minutes (24cm pan) or 1 hour and 30 minutes (23cm pan). If a knife/skewer comes out clean or with moist crumbs (not gooey batter) attached, the cake is ready. 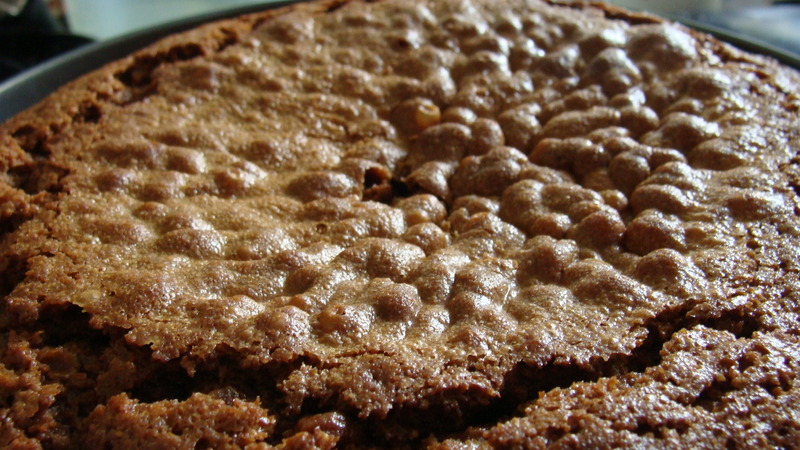 Allow the cake to cool in the pan and then remove. 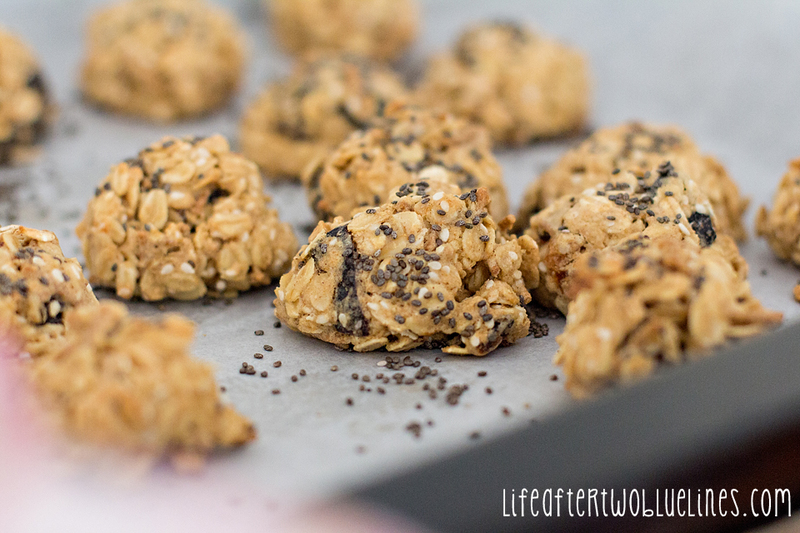 It has a kind of crunchy top, which the original recipe suggests removing, but I thought it was awesome! I iced this cake with Chocolate Cream Cheese Icing and it was delicious! The cake was quite tall, so I even cut it in half and added a middle layer of icing, which I think helped it stay moist for so many days. As a finishing touch, I grated some toblerone over the top. Yummo!! I’ve recently discovered that some people define icing and frosting as two different things. Where I come from, icing is what you put on a cake and frosting is considered the American term for the same thing. So I’m going to call this icing. Whatever you call it, it is Yummy McYumpants. Not to mention super easy. 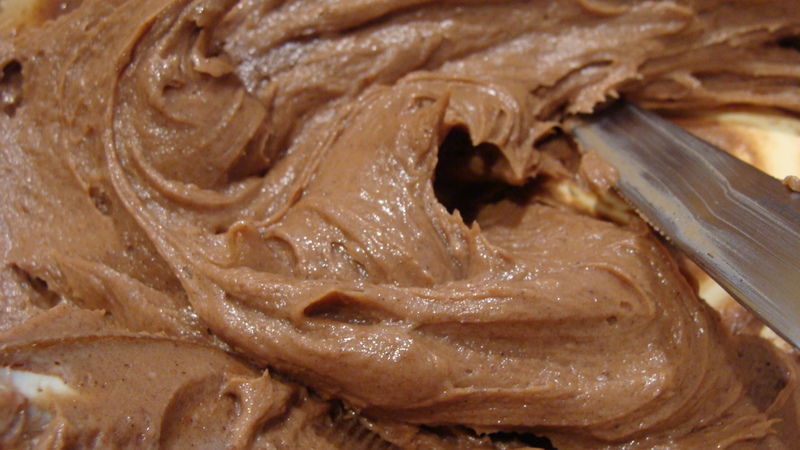 Once you’ve had this icing, you’ll never want that icingsugar-cocoa-butter crap again! I got the recipe from this Masterchef recipe. I haven’t tried the actual cake in it though so I can’t recommend it. 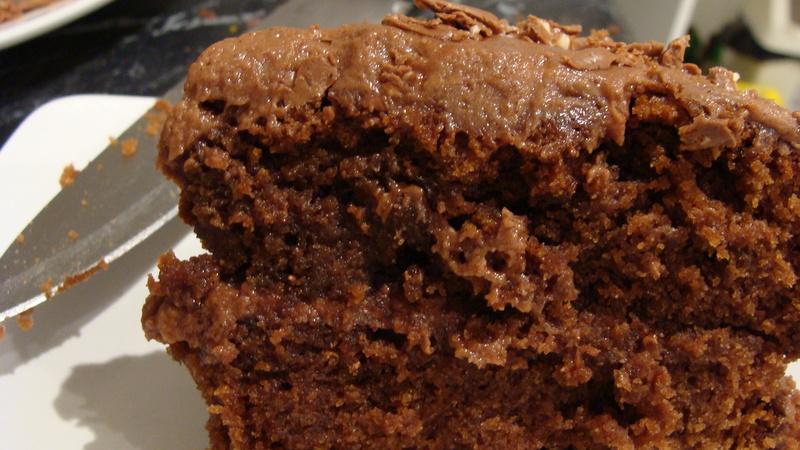 I do, however, recommend this yummy Milk Chocolate Mud Cake . Place the butter and cream cheese together in a bowl and beat until pale and creamy. Add the icing sugar and cocoa, and beat until light and fluffy. Didn’t I tell you it was easy?! You can use an electric beating contraption if you have one… I don’t, so trust me, good old elbow grease works too! 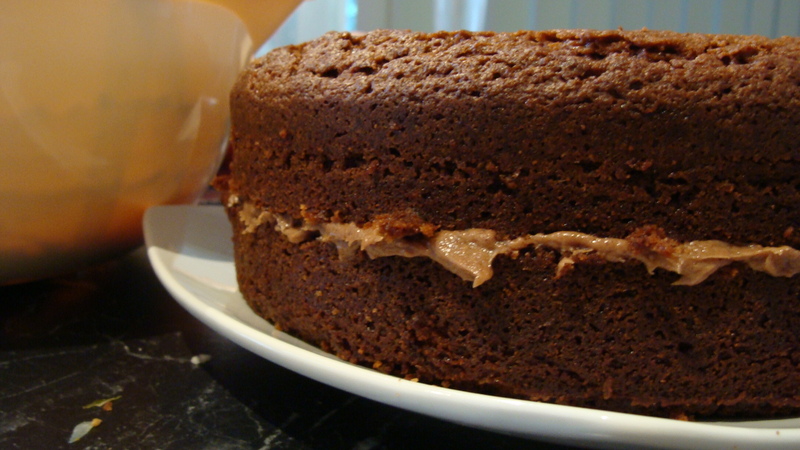 Oh, and the final step – smear all over a really yummy cake (and then lick the spoon. A few times). Given that these truffles are one of the things that inspired me to start up this blog, I thought it only fitting that I kick it off with them! I made these for my partner and I to enjoy on our baby’s first Christmas day. Having never attempted truffles before, I was delighted at how easy and yummy these were – impossible to just stop at one! And the potential for extra creativeness is limitless – I look forward to playing around with this recipe someday. 1. Beat cream cheese until smooth in a large bowl. Beat in icing sugar until well blended. Stir in melted chocolate and vanilla until no streaks remain. 2. Refrigerate for an hour. Shape into balls. Roll in your toppings of choice. 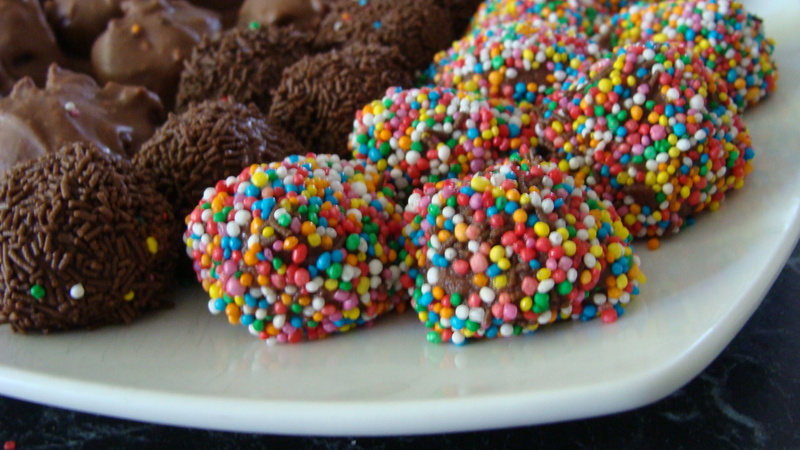 I rolled mine in hundreds and thousands, chocolate sprinkles and dipped some in melted Toblerone – yum!! I think some chopped nuts would also be a great topping. Cocoa or icing sugar would also be worth a try. I think you could also experiment with putting things in the middle to make a centre. I think one of the keys to making these delicious is your choice of chocolate. 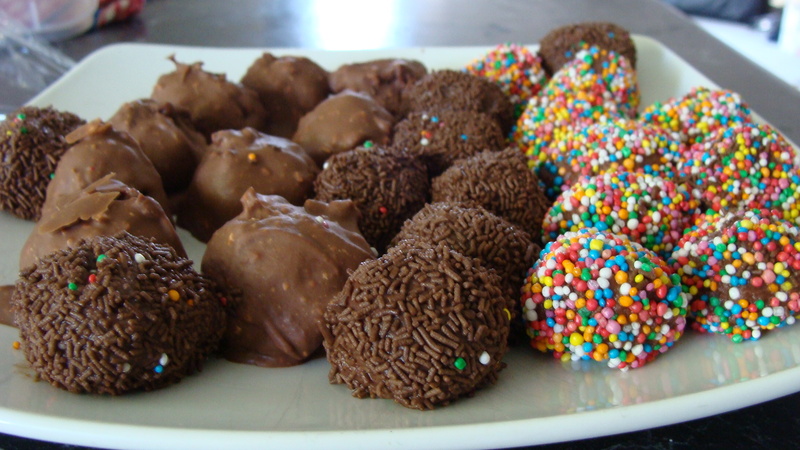 I used dark Lindt chocolate, and I’m sure using good quality chocolate made these extra yummy. I found it was best to keep these in the fridge for a nice fudgy texture.